If you want to reach your target audience effectively, you need to use professional marketing tools. 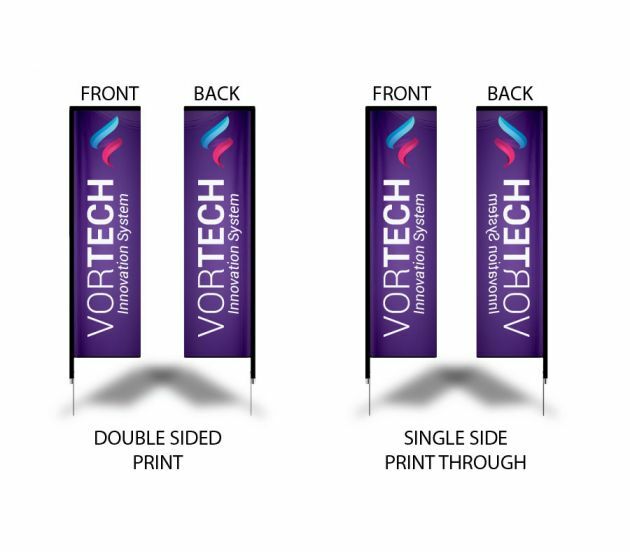 This medium square flag is an outstanding choice, combining attractiveness, dependability, and convenience in one portable package. 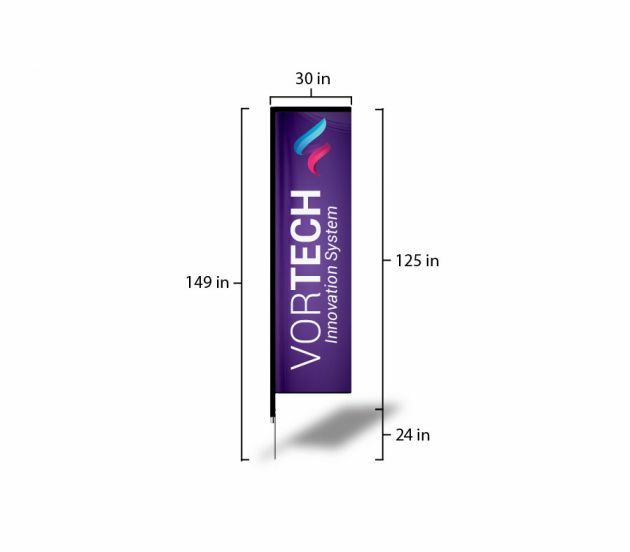 It’s perfect for outdoor or indoor exhibitions, trade shows, retail stores, car dealerships, and virtually any other application you can imagine. Carrying case now is available to purchase. How can I make sure my blues do not come out purple? When using a blue in your design, always make sure to leave at least a 30% difference in your Cyan and Magenta values. Blue is close to purple in the CMYK spectrum. Remember, use a low amount of magenta whenever using high amounts of cyan to avoid purple. Use rich black as a ink mixture of solid black, 100% K, with additional CMY ink values. This results in a darker tone than black ink alone. If you print black alone as 100% K, the resulting black may not be as dark as you might like. Here is an example for just using K values to 100% and not incorparating the CMY perecentages for true black values. Like all of our graphic signs and banners, this medium square flag is a remarkable value. With years of experience in the print fulfillment industry, we have the skills to keep costs down without sacrificing the level of quality that today’s businesses demand. We also offer the fastest turnaround times out there, with most orders received by noon PST shipping out the same day. We work hard to keep each and every customer happy. If you have a special request that you don’t see on our site, contact us. We’ll do our best to accommodate your needs. If you’d like to speak with one of our printing experts now, call us at (702) 754-6360. You can also email us at info@777sign.com, and one of our team members will respond shortly. Why spend more for a medium square flag for your organization? Customize high-quality marketing materials online at 777 Sign today. This product comes fully finished; double sewn with a black pole pocket as the sleeve. Accepted File Formats:JPG & PDF.